The outcome of the next election is one of the most uncertain in living memory. With the prospect of a weakened Prime Minister presiding over deals between multiple parties, a second coalition, a minority government, or – less likely – a government with a small majority, we’re facing the most unpredictable political period since the 1970s. One thing is clear however; business will remain centre-stage throughout the election campaign, and into the next parliament. Whatever government emerges in May, it’s unlikely to be as stable as the current coalition, and this could pose significant risks to the corporate world. In an environment where day-to-day politics and political survival will take precedence over long-term policy, it’s vital that businesses understand what will drive and influence decision-making. 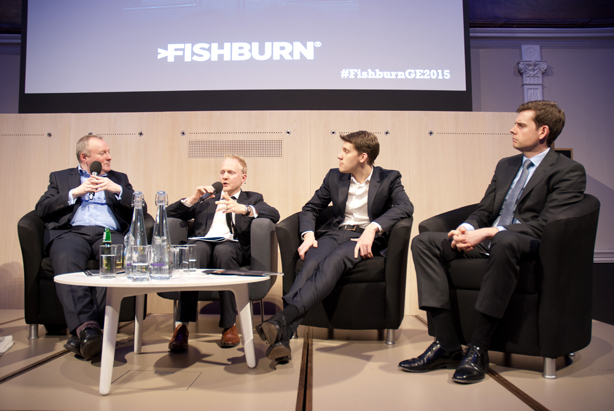 This week Fishburn hosted an event at the RSA with political commentators and senior business figures to discuss how best to prepare for this political uncertainty. Jim Pickard, chief political correspondent at the Financial Times, chaired the discussions and cited the multitude of risks that businesses are now facing, including no clear winner at the election, the threat of an EU referendum and, more broadly, increasing questions over the role of business. Damian McBride, former special adviser to Gordon Brown, discussed how behind-closed-doors negotiations could make for weeks of political uncertainty if the election result provides no clear winner. Seb Payne of The Spectator accepted that for many large businesses, the biggest political risk they are facing is the threat of the UK leaving the EU. However he also stressed that many smaller businesses are now finding the idea of a Brexit less of a threat. George Eaton, political editor at the New Statesman, addressed questions about the perceived risks to the corporate world from a Labour government, arguing that businesses are less concerned about the Labour manifesto as it stands than the longer term-direction of travel of their policies. To provide further context for the evening’s discussions, we published a guide to the election, entitled Planning for Uncertainty, which included contributions from leading political commentators to help business prepare for the months ahead. Herein, Rachel Sylvester, political columnist for The Times, discusses how politics and business can be a dangerous combination, and that both sides should view the other with "mutual suspicion". Ian Stewart, chief economist at Deloitte, highlighted how its most recent survey of CFOs listed the political uncertainty of the general election as the biggest single risk to business in 2015. Finally, Isabel Hardman, assistant editor at The Spectator, suggests that this is one of the most terrifying elections for a politician, but judging by the discussions at the event, the same could also be said for industry. Barring a last-minute shift in the fortunes of political parties all things point towards a second hung parliament come May, with the inevitable compromises of coalition or minority government. Business needs to be ready for this, and start planning for the uncertainty that lies ahead.